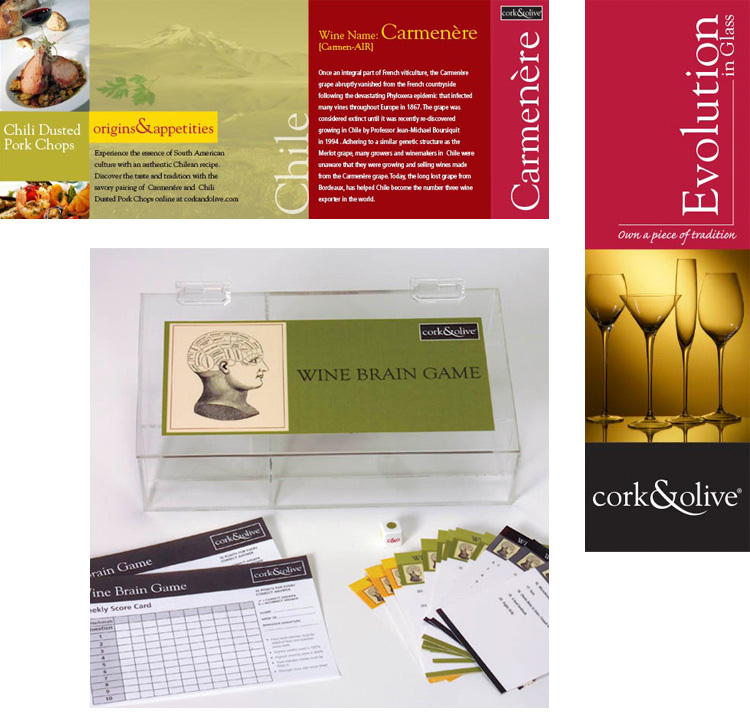 Adhering to established Cork & Olive brand standards, we produced a variety of print, packaging, and point-of-purchase materials which correlated with their retail environment. 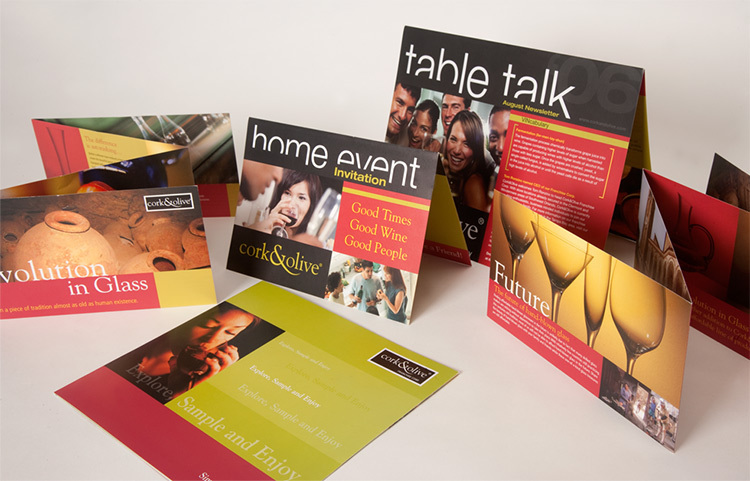 Varietal education pieces, staff training tools, and promotional stemware brochures rounded out the collateral program. Cork & Olive especially valued this accordion-fold piece which opens into four panels to illustrate the visual evolution of their handmade stemware while educating their retail client base about ideal stemware selection and use.